Today I have a special treat for you — an exclusive interview with multi-millionaire Marc Allen. 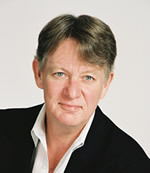 Marc Allen is the president and co-founder of New World Library, which has published some outstanding books on personal development and spirituality, including Eckhart Tolle’s The Power of Now, Shakti Gawain’s Creative Visualization, and Dan Millman’s The Way of the Peaceful Warrior. These are some of my all-time favorite books. At age 30 Marc Allen and Shakti Gawain launched New World Library with no capital, and today the company is a major independent publisher with the motto: “Publishing books and audio and video projects that change lives.” A published author himself, Marc has written several books, including The Millionaire Course, Visionary Business, A Visionary Life, and The Ten Percent Solution. Additionally, Marc is an accomplished musician and co-founder of Watercourse Media. Yet despite these significant accomplishments, Marc will be the first to admit that he is definitely NOT a type-A workaholic. He sleeps until 11am. He doesn’t get into the office until after 1pm. He doesn’t work on Mondays. Instead of putting in long hours at the office, he uses the power of intention, visualization, and affirmation to attract what he wants. Marc has a new book out called The Type-Z Guide to Success: A Lazy Person’s Manifesto for Wealth and Fulfillment. Marc’s book The Millionaire Course is what inspired me to launch the Million Dollar Experiment, which just recently manifested a collective total of $1,000,000 for its public participants. So I was delighted to have the opportunity to interview Marc in connection with this conscious manifestation experiment. 1. Why did you intend to become a millionaire? What was your motivation? I always knew that being a millionaire was not all that important – there are far more things that are far more important, such as family, friends, and doing what you love to do in life. I knew early on that the most important thing for me was to do what I loved to do in my life, and make that work somehow. And it always has. That bit of knowledge has served me very well. Money is central to our lives. Yet money is not of central importance. This is good to keep in mind, always. It helps us keep money in the proper perspective. It is a very, very good servant but a terrible master. That being said, I realized in my early thirties that being a millionaire is a very good goal. It’s a solid, concrete number that your subconscious mind can grab hold of. My motivation for that goal was simple: It dawned on me one day that I wanted to write books and write and record music, and be successful enough to continue to do it for the rest of my life – and doing what I love to do is far easier with substantial reserves in liquid assets than it is with no money. So I decided to become a millionaire. That became a clear goal in my mind. When you make a clear goal, and when you remind yourself of it enough so that your subconscious mind grasps it, an amazing, mysterious thing happens. Some part of you starts working backwards from that number, and finding how to achieve it. It’s difficult for me to explain how I feel the process works, but when you decide to become a millionaire, you automatically start asking yourself how you can reach that goal. And once you start asking that question, you start getting answers. All kinds of possibilities become obvious to you – they were always there, but you never saw them before because you weren’t looking for them. 2. What does it take to become a millionaire today? Within every adversity is an equal or greater benefit. Within every problem is an opportunity. Even in the knocks of life, we can find great gifts. When you understand those words, it completely turns your thinking around. You start to see benefits, opportunities, and gifts everywhere! 3. What prevents people from attracting greater wealth into their lives? Our own doubts and fears are the only things that prevent us from attracting greater wealth or achieving any expansive goal. The vast majority of the work it takes to succeed is internal – dealing with our doubts and fears. Our doubts and fears are not true in themselves. but our thinking makes them true in our experience. The truth is, I’ve come to believe, that everyone is really a creative genius, in some unique way. Everyone has gifts they were born with. Everyone has dreams, desires, goals that are attainable – it’s just a matter of focusing our powerful, creative mind in the right direction, going for that dream, that goal, and then dealing with the doubts and fears that naturally arise in everyone as soon as we dare to dream an expansive future and start taking steps toward it. 4. In your book The Millionaire Course, why do you recommend adding certain phrases to intentions (i.e. “in an easy and relaxed manner, in a healthy and positive way, in its own perfect time, for the highest good of all…”)? Over the years I came to realize that those four words – easy, relaxed, healthy, and positive – in themselves, when repeated often, overcame a lot of my doubts and fears. “It won’t be easy,” whisper our doubts and fears. “It certainly won’t be relaxed – achieving success is stressful! You’ve got to work really, really hard to succeed,” etc. etc. of your doubts and fears. This is not just theory – this is true in my experience, and in the experience of a great many others. You don’t have to believe in any of this – just try it for yourself, and you’ll see the results! 5. What is The Ten Percent Solution, and why do you recommend it? If you have a windfall of some kind, save at least 50% of it. A good way to begin is to set up two checking accounts. Put your regular income into your main account, and immediately transfer at least 10% of every deposit into your savings. I’ve been doing this for years. Always round up so it’s over 10%: If you’re depositing $930, for example, put $100 into your savings [ed. 10% of $930 = $93, so round up to $100]. Over time, it really adds up. Within a few months, you’ll find you can start building your savings. Then you start investing it for a better return in stocks, bonds, real estate. That’s the one simple key to financial success! Give away at least 10% of your income. for yourself and for the world. Once you’re saving 10%, set up a third checking account for donations, and put another 10% into that. Now you’re instructing your powerful subconscious mind that you’re living on less than 80% of your income, saving over 10%, and giving 10% away to people and organizations who are doing something beneficial in the world. Earth would be a heaven, and hell a fable. 6. What role, if any, has meditation played in your experience of wealth creation? (1) The first is what is normally thought of as meditation, where you simply let all thought go, let all “doing” go, and just be in the moment. It’s very simple. When you do it, you find – even if just for a moment at first – that stillness that is beyond thought. An easy way to get it is to do what Eckhart Tolle keeps recommending in The Power of Now: simply connect with your “presence” or “being” within. The benefits of this are endless, for everyone. Another simple way to get into this meditation is something I learned from a Zen teacher: Just stare at something, or close your eyes, and let all thought go as you exhale. For one exhalation, anyone can let their thoughts go, at least for a moment. Do it over and over, and you can learn at will to go beyond the constant stream of thoughts that most of us have throughout the day. (2) The second type is “creative meditation,” the kind of thing Shakti Gawain wrote so beautifully about in Creative Visualization. This has been invaluable to me over the years: I imagined myself, over and over – even way back when I was a total poverty case – living a life of ease, strolling around my big white house on a hill, with nothing to do, sitting on several million worth of assets. I visualized this repeatedly, and it came true in my life. With every project I set out to do, I visualize its completion. I see it finished, and successful. Then the steps I need to take to make it happen become obvious. Along the way, an intention forms that overcomes every apparent obstacle. 7. What does your typical workday look like? I’ve always been fairly lazy. I’ve never been a morning person. I sleep usually until about 11:00, and take a few hours to get up and get going. Tuesday through Friday, I usually go into my office; I get there usually between 1:00 and 2:30. I never work over thirty focused hours a week. I never do work of any kind on Sunday – that’s my day for family and for rest. And I take every Monday off – that’s my day for myself, for my “mini-retreat.” I never have any plans on a Monday, except I usually have a massage in the late afternoon and I have dinner with my family and put my son to bed. I stay at home on Mondays, and I don’t have internet access or email at home, so I have time for rest, rejuvenation, writing, reflecting, playing music, staring at the clouds, doing nothing. By Tuesday afternoon, I am ready to rock! I come into the office energized, whip through a few hundred emails, and take care of what needs to be done to keep my publishing company, New World Library, growing and blossoming, and to launch my new enterprise, SuccessWithEase.net. 8. What do you believe is the relationship between wealth and spirituality? Is there a connection between the two? For years I feared that the pursuit of wealth would hamper my spiritual life, distract me from my spiritual path; that was one of the limiting beliefs I had that prevented me from succeeding. But I realized somewhere in my early thirties that that belief, like all others, wasn’t true in itself. There is no conflict between wealth and spirituality, unless you create it in your mind. I can pursue financial success and still have plenty of time as well for my spiritual life. And, ultimately, they’re not even two separate things: My spiritual life encompasses every moment of each day and night. We are physical beings with physical needs, emotional beings with emotional needs, mental beings with the power to fulfill our needs, and spiritual beings, every moment. Acknowledging the spiritual in ourselves and in others gives us purpose in life, and puts everything into the proper perspective. We are not here just to become wealthy, isolated individuals. We are part of a great, mysterious, wondrous whole, and we are here to love and serve ourselves, humanity, and the whole planet, the whole environment. That’s the right perspective; that’s what is important in life. That’s what is important in life. If your education doesn’t result in love – for all of humanity, for the whole world – then your education hasn’t been complete. 9. What advice would you give to participants in the Million Dollar Experiment (i.e. people who are intending to become millionaires for the highest good of all)? Take risks. Don’t fear failure – every successful person I’ve ever known has had their share of failures. If you keep intending to be successful, each failure is just another stepping stone on your way to your inevitable success. and you’re bound to catch the brass ring. 10. What projects are you working on now that may be of interest to participants in the Million Dollar Experiment? The Millionaire Course remains my main work – I put everything I know into that book. The three books I wrote before it have been very valuable for a lot of people, too: Visionary Business, A Visionary Life, and The Ten Percent Solution. My latest book is really original and fun: The Type-Z Guide to Success: A Lazy Person’s Manifesto for Wealth and Fulfillment. It’s a short, breezy read designed for lazy people and for Type A’s who want to get to the point quickly. My music is always a big part of my life, too. My latest album is called Awakening; it’s beautiful instrumental music (if I do say so myself), and you can sample that and all the rest of my music for free at Watercourse Media. Enjoy! And best wishes for the greatest success you can possibly imagine. SP: Thank you so much, Marc. Your continued success is an inspiration to us all! Update 4/29/06: You can now read my complete review of the Type-Z Guide to Success.